Air France welcomes the end of a two-week strike action. In a statement the airline is expecting to return to normal operations within two or three days. 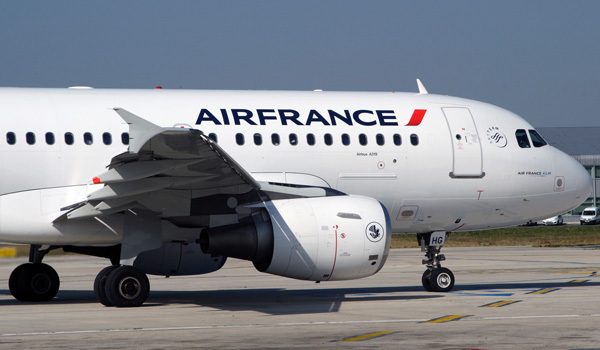 Today Air France will operate almost 60% of its scheduled flights. On sunday the carrier operates only 45% of its schedule. As aircraft have not flown for several days, mandatory checks are required before operations resume, the airline told. In addition, it will take time to reposition aircraft and crews at all Air France stations throughout the world. To end the walkout Air France had been forced to withdraw its Transavia Europe project (Transavia + Transavia France). The Air-France-Management planned to transfer much of its european operations to low-cost carrier Transavia to fight against rivals like Ryanair, easyJet, Vueling and Wizz Air. But Air France confirms its decision to continue the accelerated development of Transavia in France. This development will take place in the planned competitive economic and social conditions (in particular: development beyond 14 aircraft, a single fleet of Boeing 737, Transavia France operating and remuneration conditions, transfer of Air France pilots on a voluntary basis). The strike began on September 15th and was ended on September 28th.